7 Cups (also known as 7Cupsoftea) is a site for anonymous messaging with peer listeners or therapists. They describe themselves as “the world’s largest emotional support system,” and try to cultivate a supportive and caring community of users. Messaging with peer listeners is free, while messaging with a therapist costs $150 per month. 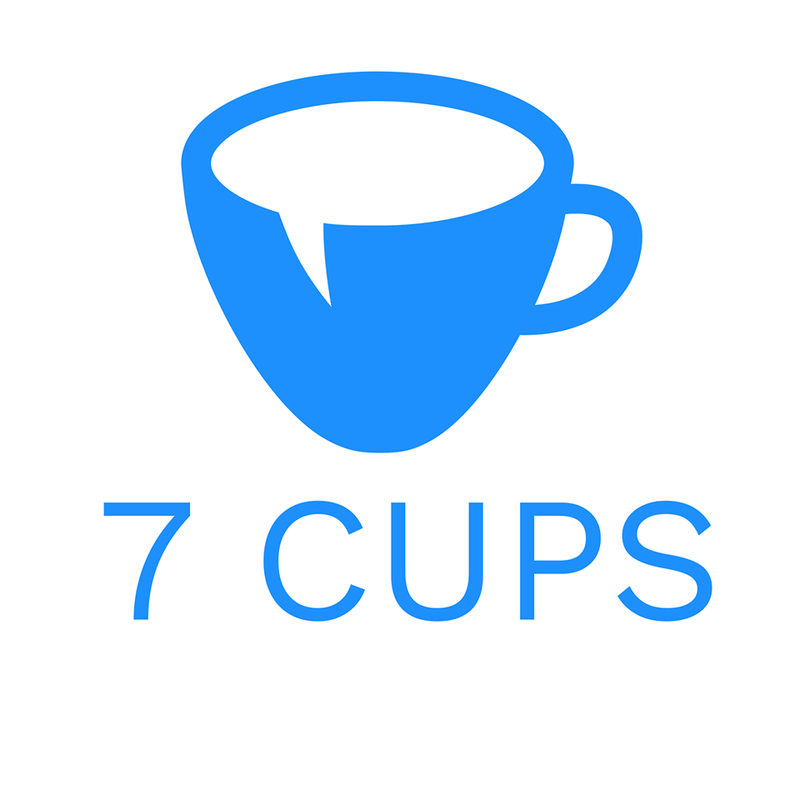 Learn more about 7 Cups, including what the free and paid platforms entail, and pros/cons of both, in our review below. Note: "Free therapy" often means you're speaking with individuals who aren't licensed or trained. To ensure you're receiving quality care – with the option of remote sessions, too – visit Zencare to browse our community of clinically excellent, professionally outstanding, and deeply compassionate clinicians. 7cupsoftea is a website where you can connect 1-on-1 with peers, join group chats, and pay to message with professional therapists. You can also set mental health goals and track your progress. Listeners are peers, not professionals. They do not necessarily have any training in mental health work. You can browse listeners profiles and connect with them for free. Their role is to listen to what you want to share and offer support and understanding, much like a good friend would. You can message just one time or maintain and ongoing relationship with Listeners. Group chats are similar to AOL chat rooms from the early 2000s. Any user can join one at any time, and they are loosely organized by type of issue or interest. The chats are live and anywhere from 2 to 20 people may be active in the chat at a time. While chatting with listeners and in group chats is free, members can pay $150 per month to have an ongoing message thread with a trained therapist. You can browse profiles of therapists and choose someone who you think would be right for you. Your therapist will typically respond to messages one or two times times per day, between Monday and Friday. You message either peer listeners for free or therapists for a fee. To choose either a therapist or a peer listener, you can browse profiles and choose someone with interests or expertise that appeal to you. Whether you message with peers or a therapist, you can choose to remain anonymous. You can also complete self-growth exercises on your own, and track progress on your profile. When looking for a “Listener” to chat with, first-time users are encouraged to take an emotional wellness test. After this assessment, you can choose a listener’s profile and send them a message to start chatting. You can develop an ongoing messaging relationship with a listener, or just talk to them for a short period of time. Similar to listeners, you can browse therapist profiles to find someone who seems like a good fit for you. You can also view reviews from past clients on a 5-star scale. How do you sign up for 7cupsoftea? You can sign up for a free account with just an email address. Once you have an account, you can connect with peers and groups for free, or pay to message with a therapist. If you choose a therapist, you will need to enter more information about yourself, as well as payment information. Before you connect with a therapist, a “bot” from the site conducts an intake interview with you through direct messaging. It asks about your history of therapy, what your current struggles are, and other general information so your therapist will have an idea of what you are looking for. Then, you are asked to share personal identification information like name and address, as well as payment information. This personal information will not be shared with other listeners or with your therapist. The cost of 7 Cups depends on which plan you choose. The online community is free to access, but to chat with a licensed therapist, you’re required to sign up for a monthly plan for $150/month. What does the paid plan of 7cupsoftea include? The paid plan for 7 Cups includes two messages a day, five days a week from a trained professional therapist. You can message your 7cupsoftea therapist anytime you want, but they will only respond twice a day, for five days out of the week. Messaging is the only method of communication that 7cupsoftea therapists provide; there is no option for video/audio chatting or for in-person appointments. What are some benefits of paid 7cupsoftea? What are some drawbacks to paid 7cupsoftea? What are some benefits of free 7cupsoftea? What are some drawbacks to free 7cupsoftea? Is 7cupsoftea private and confidential? If you sign up with a therapist, you will need to provide more personal information, like full name and address, but 7 Cups promises not to share that information with anyone, including the therapist. What types of issues do people talk about in 7cupsoftea? Therapists and peer listeners are prepared to support you no matter what your particular struggle is, and you can also create a group chat or forum post about something specific if one doesn’t already exist. While the free platform of 7 Cups cannot, and should not, be a substitute for mental health treatment (i.e., with a licensed clinician) for individuals who need that level of care, it may serve to aid those (and other) individuals as supplement to their care! Also note that since there is no explanation of the 7 Cups therapist vetting process on the site, it can be difficult to confirm the efficacy of their paid plan, as well. Considering starting therapy, but not sure how? Wondering if therapy is even worth it, and whether you’re ready (both emotionally and financially)? Or just plum not sure when to start? Find out more about what to know when starting therapy. And when you're ready to get the holistic, total support you need? Visit Zencare to find a therapist who's right for you. You can filter by locations – including online therapy – and availability, cost and insurance, and also book free introductory calls to assess fit.